The 3rd Barbasol Championship at Grand National will be held on Thursday, July 20, until Sunday, July 23. The full field of golfers will include PGA tour golfers and Alabama professionals. The winner will again receive 300 FedEx Cup points. * Cameras are strictly prohibited, and cell phones must remain silent. * Items not allowed include cameras, alcoholic beverages, coolers, weapons, noisemaking devices and carry bags for chairs. * Children who are 15 years of age or under are admitted for free to the tournament if accompanied by a ticketed adult. * Military personnel with valid ID have free tournament admission. * Stay aware of the message boards for inclement weather warnings. Come prepared with sunscreen! * Keep in mind there is an enforced no autograph policy during tournament days. The only exception is at the Autograph Alley after a player has completed his round. * All public parking is located at the Auburn Marriott Opelika Hotel & Conference Center. 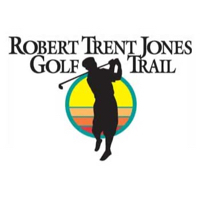 Grand National is one of 11 sites along the Robert Trent Jones Golf Trail. 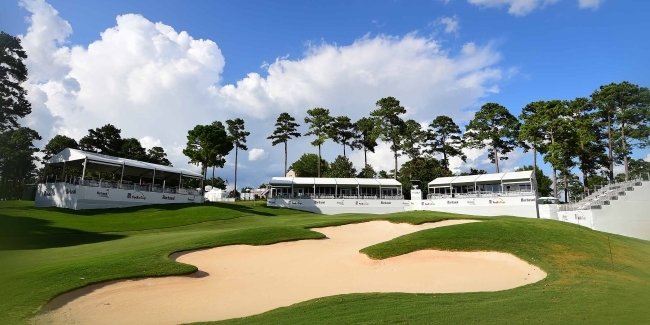 It has 36-holes of championship golf, along with an 18-hole par-3 short course. Barbasol, an Ohio-based consumer product and America's #1 shaving cream, has sponsored the Championship since 2015. The event will bring 132 professional golfers competing for $4 million in prize money. There is an expected attendance of more than 50,000 to attend the event throughout the tournament week. More than 70 credentialed media are anticipated to attend the event, including local, national and international print and electronic media. The tournament will be televised live on the Golf Channel all four official tournament days. Countries represented include Japan, Korea and Europe. The Championship will have an estimated economic impact of more than $25M on an annual basis. This is based on estimates using comparable city population, tournament size and scope. 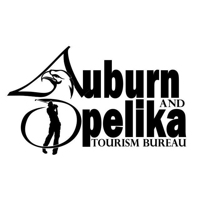 Brooke Peace Harris is the Digital Marketing Manager for Auburn-Opelika Tourism Bureau. Brooke Graduated from Auburn University and has been in Auburn for over 10 years. Her experience in public relations, marketing and community involvement make her a great fit for the AOTB! Contact Brooke for all things web, social, and marketing related! Brooke is a big fan of the game - which means her husband loves golf, she has her own set of clubs and has been to one Masters practice round. Rory McIlroy is her favorite pro.